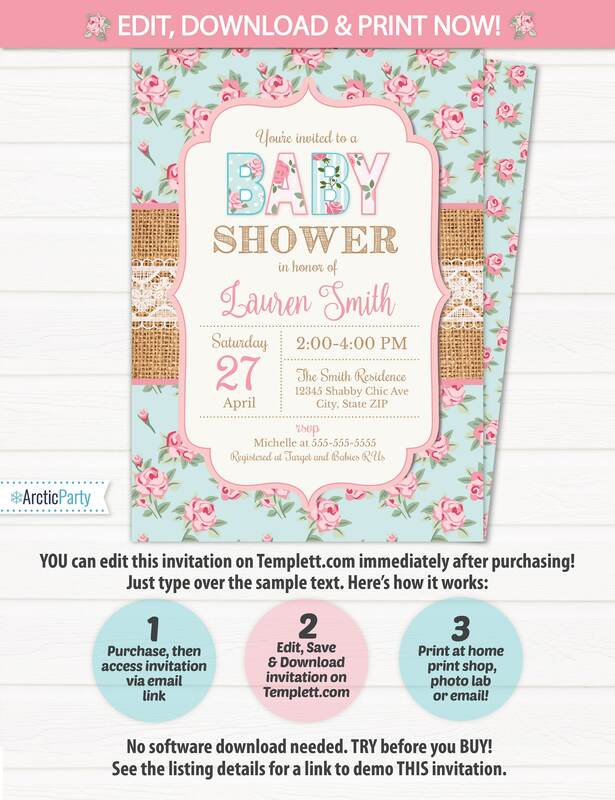 Shabby Chic Baby Shower Invitation, Girl Baby Shower Invitation, Vintage Baby Shower, Shabby Chic Invitation, INSTANT ACCESS - Edit NOW! 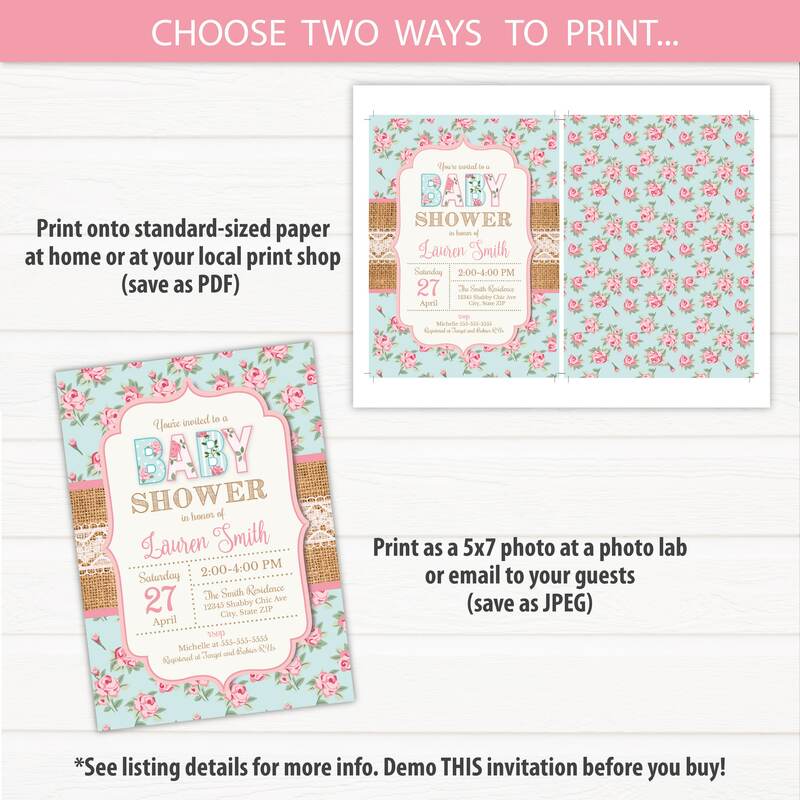 Shabby Chic Invitations! Backside design included. No waiting! Edit NOW from home using Templett.com. ♥Add images (great for backside)!! 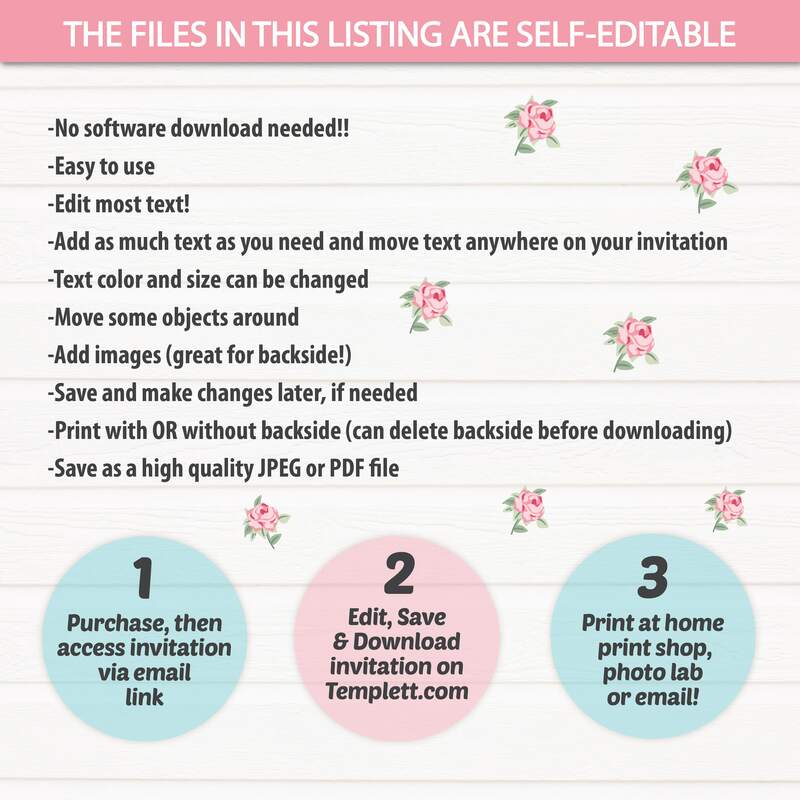 Please note that you are not able to edit this file on an iPad, iPhone or any other handheld device.